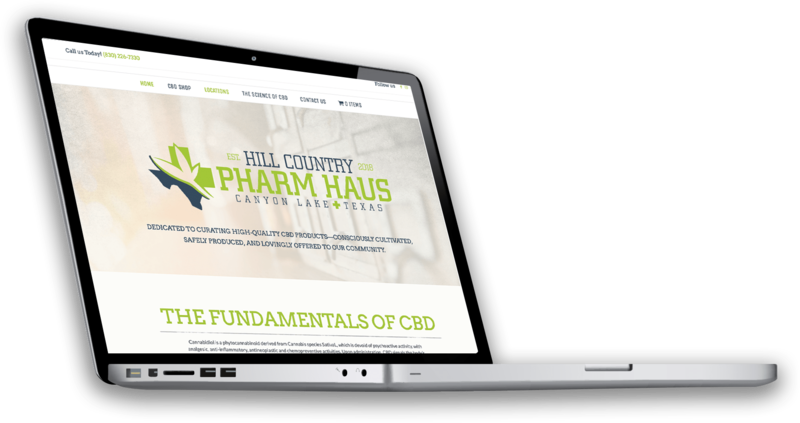 Launching in a new market is challenging, and to help establish Hill Country Pharm Haus as primer CBD retailer in Texas was a big task. They needed to create a signature logo, develop a new color system, design and build an e-commerce site, and design their packaging and in-store marketing assets. I helped create a cohesive brand identity and visual branding that has been integrated across all channels—from public-facing social media to the website for education and online sales. HC Pharm Haus needed a premium look for their exceptional CBD, and we gave them the tools they needed to be a competitive CBD brand. Dedicated to curating high-quality CBD products—consciously cultivated, safely produced, and lovingly offered to their community.